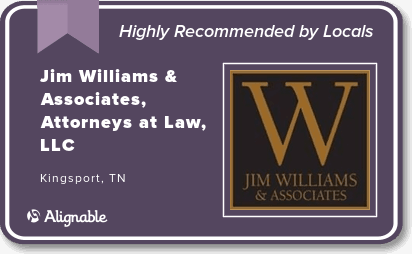 As part of our full-service legal practice to clients, Jim Williams & Associates provides representation in the negotiation and litigation of damage claims and lawsuits after an accident, injury or death caused by another person. If you have been injured, you will need immediate and aggressive assistance from an experienced personal injury attorney able to deal directly with insurance companies and secure full compensation for your injuries. The process of filing a personal injury claim or wrongful death lawsuit is complex and confusing, a process often made worse because of conflicting instructions and inconsistent communication by staff at larger law firms. By contacting Jim Williams & Associates, you will deal directly with the attorney handling your case. He will clearly explain your rights, your options and the possible consequences of your decisions, all in a pressure-free atmosphere. • Car, Truck & Motorcycle Accidents: including drunk drivers and uninsured motorists. A personal injury claim will be decided according to the careful investigation and correct application of liability and insurance statutes. Unlike many “personal injury” law firms that will abandon or refer a case when a negotiated settlement is not available, the wrongful death lawyers at Jim Williams & Associates are prepared to proceed with injury litigation at all levels of the state and federal courts. We will not hesitate to bring your case to court if it is the only way to secure just compensation. In addition, there are no fees or costs to our clients until after we have negotiated a settlement or received a positive judgment in the courts.